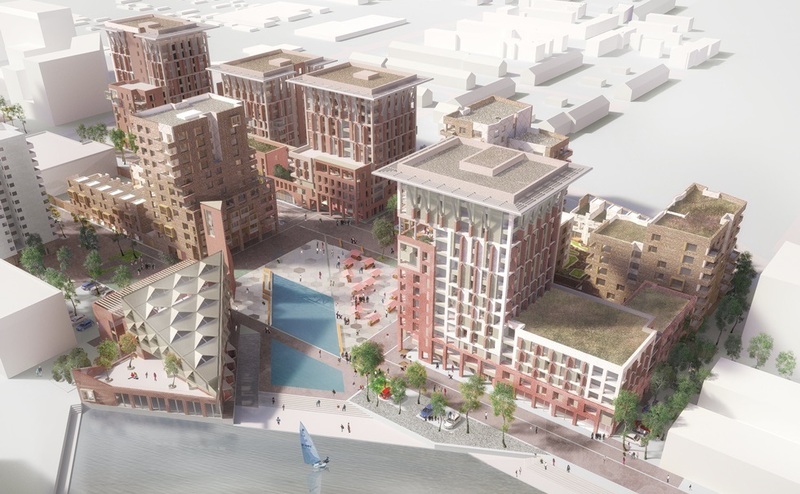 Peabody are finally starting to move after years of delays on constructing 525 new homes in Thamesmead at the former Tavy Bridge site. 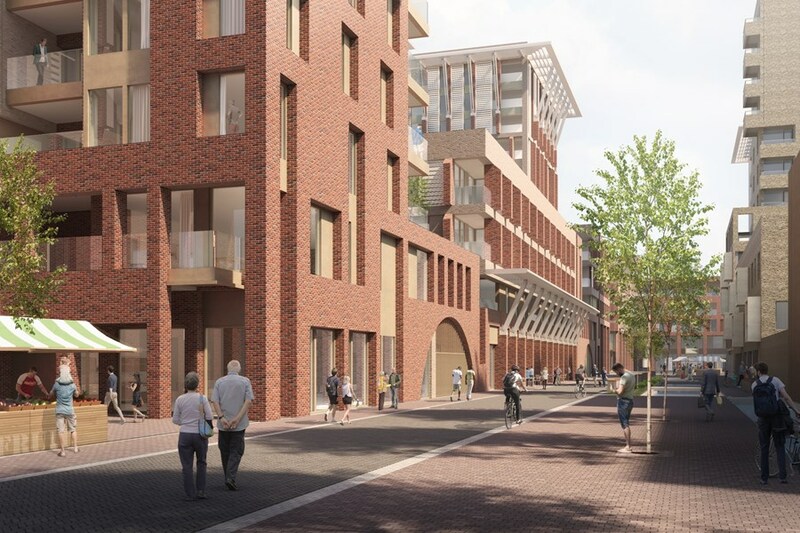 After years of missed deadlines and glacial progress building staff have been on site and detailed plans of future building frontages and materials have been submitted to Bexley Council. Buildings will top out around the same level as towers in the area. Many are – or will be – demolished though some nearby towers were refurbished before the project got off the ground. 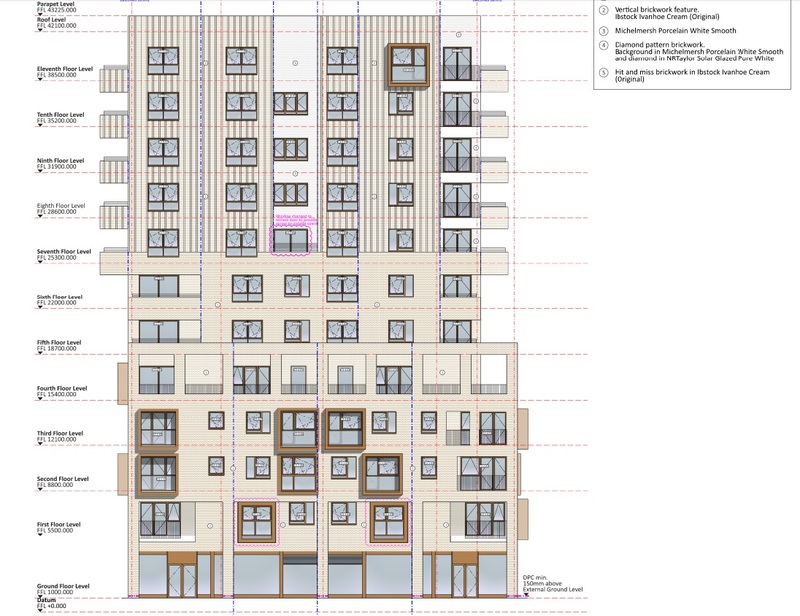 Peabody are years behind original plans timelines and some other tower blocks are seeing refurbishment as original plans to demolish are far behind schedule. they are still projected to eventually come down. 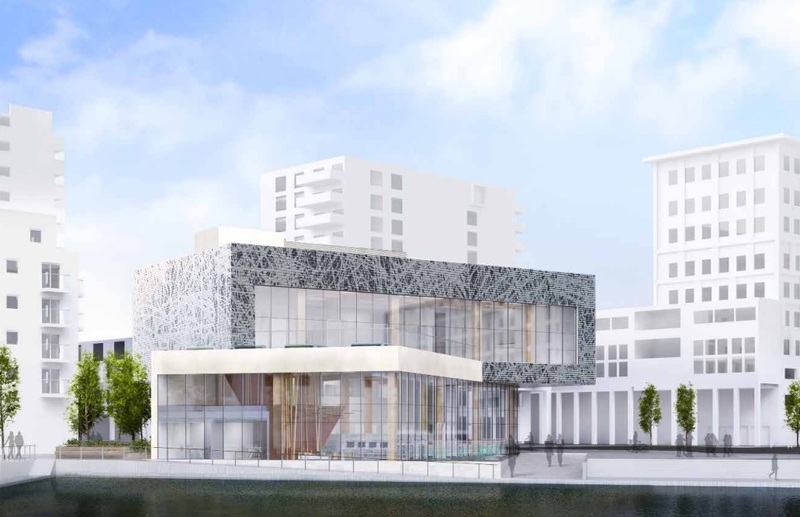 Plans for anew library were approved after a design competition. It faces onto Southmere Lake. With builders and plant on site we can now expect work to proceed in providing a new heart for this part of Thamesmead. One thing to mention – will it be marketed as Thamesmead or will developers and estate agents try to call it Abbey Wood? It’s in close proximity to the Elizabeth Line station. The triangular building is earlier library draft. They wouldn’t be the first to try to rebrand this part of town and airbrush history. Of course they will sell them as Abbey Wood, if the bookies would take a bet on it id put my money on it. On a more serious note its great to finally see some work at the site, The remaining Binsey Walk Flats have now been fenced of with security on site so assuming demolition of these soon. Coralline Walk id say is also now around 90% vacant. Don’t think so cause Peabody is heavily investing in Thamesmead brand. How nice that you know what’s going on and share it. Sadly, Peabody have not found it necessary to update residents involved in the demolition process and the timeline changes – apparently, they have no information they can give, despite regular requests over several years. Residents can only assume that the original deadline, therefore, still stands of us being given the keys to our new homes in March 2019 as we’ve not been advised otherwise! Appalling lack of communication throughout given our homes are the ones being demolished in due course. Thank you for updating us. Thank you for the update. 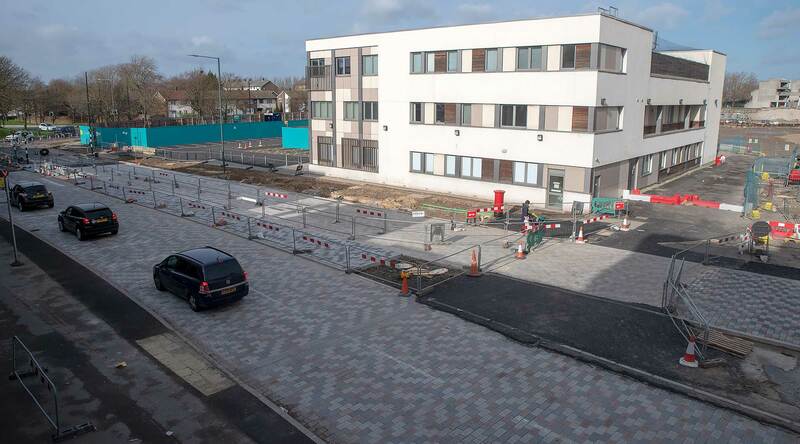 It is nice to see work finally beginning to start.on this site My aunt moved to Bisney Walk when the properties were newly built and at that time her post code was SE2 (Abbey Wood) before the new SE28 post code was introduced for Thamesmead as the area grow with hundreds of new homes.